I guess now they’ll start laying bets? They limited the stakes. I didn’t think it would happen. Government is basically corrupt where taxation (or cheap votes) is concerned. And votes won the debate, as indeed it should have done. I long argued it was never the intention of the Gambling Act to create mini Casinos in our High Streets. The ruling in spite of Gambling Commission recommendations of spins ‘up to £30.’ Who could possibly take that organisation’s protection of vulnerable consumers stance seriously? I supported the cut, because it was the right thing to do. Moving forward, that same Government perversely expects the gambling firms to make up for the shortfall in taxation on machines they’ve decided effectively to eradicate. The first is right, the second is wrong. I hope the firms fight that naïve argument robustly, for the sake of we independent bookmakers. It’s accepted we will suffer the most from a 33% hike in duty payments. Firms like my own asked to pay for the failures of poor Governance. It’s the age of the guesser. No, I’m afraid they won’t. Again they won’t, because the Regulator, the only body with the power to force change, has no appetite to see that happen. None. Only the Gambling Commission has the power to make such decisions, and right now they show no inclination to force firms to lay what is advertised. A meaningful Racing Press could help force change, but with the most powerful medium, the Racing Post, almost entirely in the pockets of big betting, that’s a voice that will remain resolutely silent. It’s an important voice. There’s a simple parallel between LBO’s and the On Course market. Faced with the pressure of exchanges and online companies, books at racetracks have slashed margins, even whilst tracks have demanded higher fees. It’s clear they haven’t become more interesting to bet with in doing so. The average Joe punter doesn’t care if its 4/1 or 5/2. They simply want to cheer a horse home. Chester learned that. They have created a Tote style environment, bland and uniform. Many of these hard-working individuals I count on as friends, stand out in all weathers. I take no pleasure from criticising them in this way. On Course bookies exist in transmit mode. They won’t participate in, or discuss with colleagues, meaningful discussions in how to rival big betting for interest. They see no threat from Bet365 or Chesterbet. As a result their businesses are resolutely losing the war with online companies! Firms such as my own online division offer a better customer service standard and more competitive odds, aligned with specials, and best odds guarantees. And we never dip on the place book, we actually enhance it. It’s racetrack bet now. Not one of those tracks has been engaged to include their track bookies as a sales point. Isn’t that odd? What of the shops? That’s a basic economic calculation. Shops that cannot gross sufficient profits will simply close, that’s self evident. Key in the door stuff. The Online market is a differing business model. Driven by bums on seats and Casino profits. Take away the shops own mini casino version, and what are you left with? 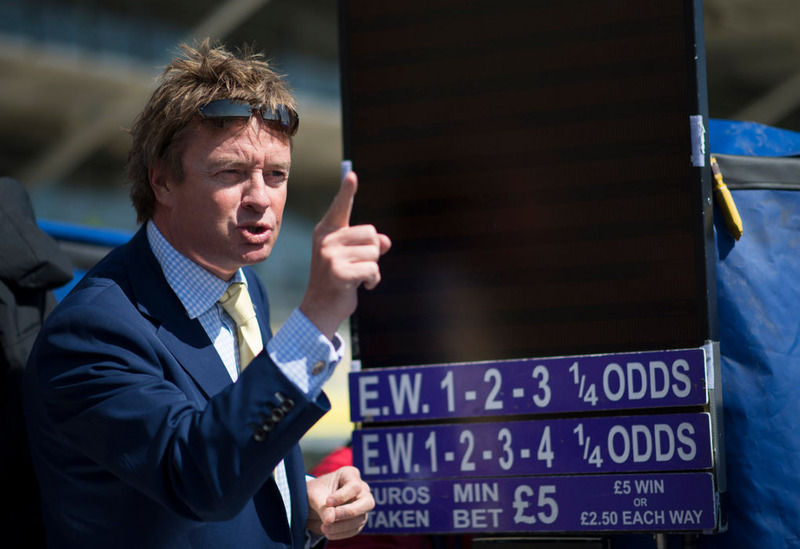 Some argue ‘they will turn to bookmaking again’ That’s offering a low margin Racing product where 60% of the races are won by the front two in the market and every Festival is awash with giveaways. These are the areas marketing divisions of said companies routinely exploit to gain accounts, not profits If you think that’s going to change, lock yourself in a dark room with a damp flannel on your head. The 4000 number bandied about is a matter of fact. In said regard the executives were correct, it’s inevitable. They answer to shareholders, not public opinion. Can the bricks and mortars product be forced to lay bets to minimum levels? Unless the lucrative online market is regulated to lay bets to odds it advertises, something the Gambling Commission refuses to countenance. That horse won’t enter the stalls. One thing the FOBT action proved conclusively. Bookmaker board rooms won’t countenance any move, even when threatened by Government, if the opposition doesn’t match their cut. As for example they should have done with fixed odds betting terminals, by reducing the maximum gamble per spin when threatened with regulation. People vote with their mice. They won’t accept 5/4 in a shop if its 6/4 online. Any other argument is fanciful. There’s little evidence punters would support their ‘local store’ were its odds any less than the online version. The LBO’s simply cannot compete head on with online and ‘lay bets’ if that alternate market place is not mandated to either. Any argument in that vein is naive. LBO’s have very substantial costs to shoulder. Media rights alone are over £30,000 a shop to Racing! Expect closures, not change. Previous Previous post: Where is the Regulator?